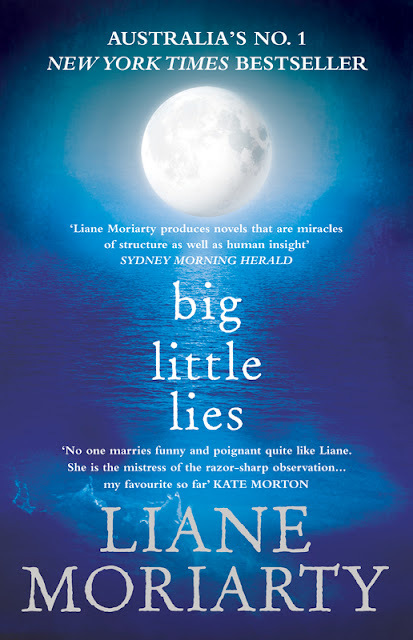 We are one week into a three week journey through South Australia. 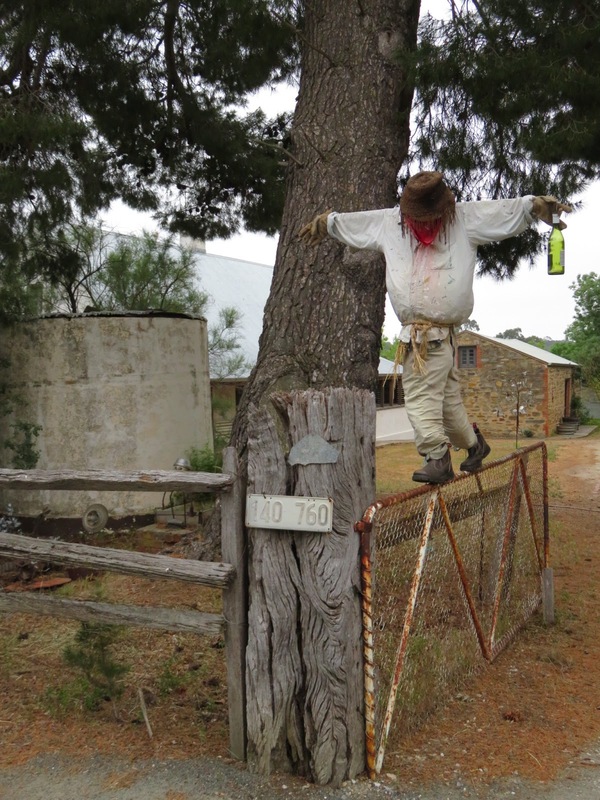 Not only do we plan to see the various wine districts, some of which we have visited before, but this time we will go further afield to the Fleurieu Peninsula and on to Mount Gambier before heading back to Melbourne via the Great Ocean Road. After planning our trip I started to think about family history and realised that many of my ancestors are buried in various locations throughout Victoria and South Australia. So I printed off family trees to bring along on the trip and have been studying them along the way. Our first stop was Horsham in Victoria. 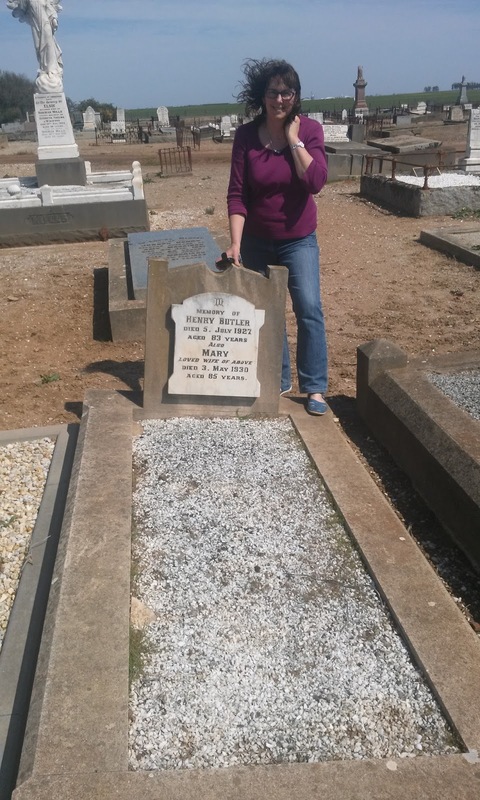 Whilst there we visited the Horsham Cemetery and I was thrilled to find the grave of my great-great-great grandparents (on my dad's mum's side) Henry and Mary Butler. We also took the opportunity to drive out to Natimuk, the birth place of my grandmother, and found a small graveyard which contained graves for both Duschkas and Haeuslers, also ancestors. After booking into a motel we dined at the Royal Hotel in town. The next morning we drove to Dimboola, in search of a grave for one of Jim's ancestors, Fanny Maybin. Although we didn't find her, we did find other Maybins and I will research them further at home. On to the lovely town of Murray Bridge and dinner at the impressive Bridgeport Hotel on the river. After an early morning walk along the river, we checked out the main shopping area and then drove to Mannum, the home of the very first Murray River paddlesteamer. The Museum, including the paddlesteamer Marion, was a fascinating visit and lunch at the Pretoria Hotel on the river was just lovely. 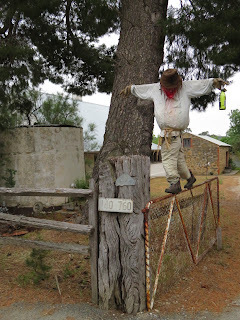 On to the Barossa Valley and our three night stay at Blickinstal B&B, set amongst 20 acres of vines. Sue, our host, provided the first of three fabulous breakfasts and we walked around nearby Tanunda, drove down the wonderful palm lined Seppeltsfield Road and had a divine lunch at the Jacob's Creek winery, along with a lovely bottle of Cool Harvest Pinot Grigio. We also visited the Chateau Tanunda where I purchased two bottles of a lovely Grapes of Ross rose, and we lunched at the famous Maggie Beer's Farm Shop - on pate, cheese and wine. 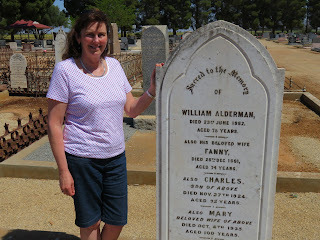 On the way to the Clare Valley we stopped in at Balaklava and visited the graves of my great-great-great grandparents John and Susanna Adams (on my dad's dad's side), pioneers in the local area of Whitwarta. 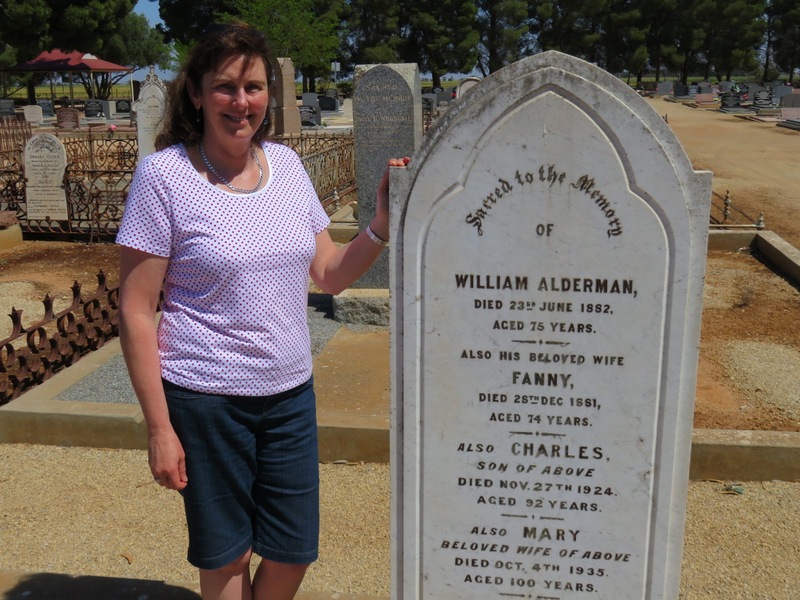 At the main cemetery in town we found the Aldermans (for those of you who don't know, my maiden name was Alderman); William and Fanny and Charles and Mary. Just wonderful! Great blog… sounds like you are having fun!! Hi Penny, WOW, sounds like a fantastic trip your taking. So glad for you that you get to check out the cemeteries, too. How exciting. I guess you have to be into genealogy to like that, as we are. The Pioneer place you went to also looks like a great place to see also. So glad for you both. Have fun and enjoy the rest of your trip. Hugs.